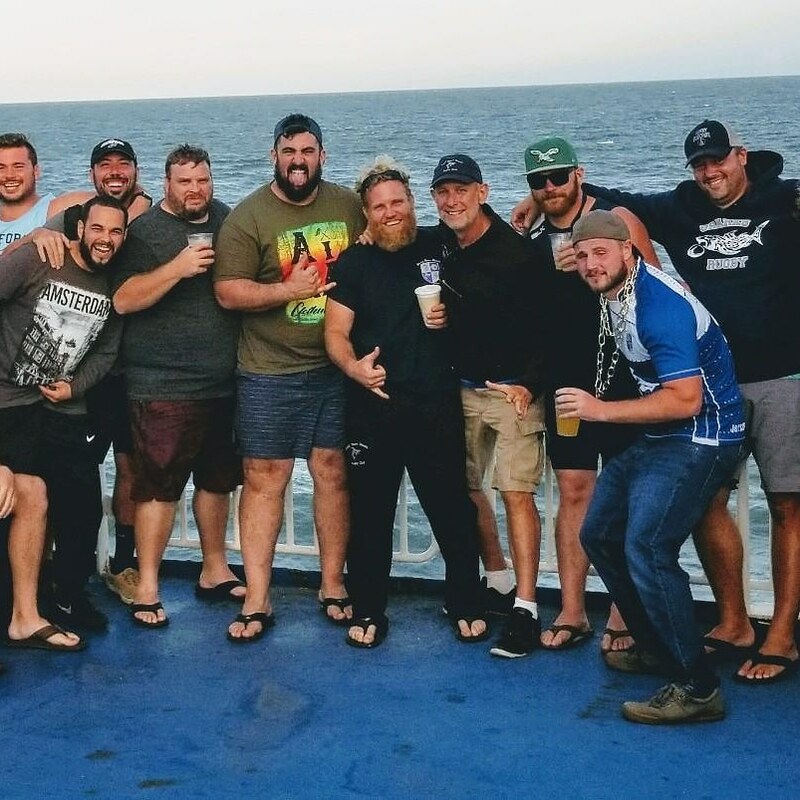 Fall 2018 Ferry Trip home after defeating Delmarva Rugby Club. The Sharks love our ferry trips!! Absegami High School Senior Spencer O’Brien signed his letter of intent to play rugby on scholarship at Life University. 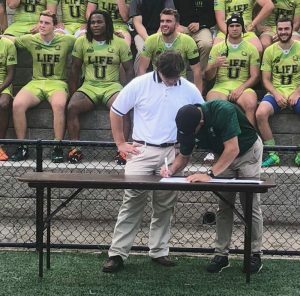 Spencer joins Sharks players Mainland grad Richie Donofrio, St. Augustine grad Sean Lenszch and Rowan U grad JC Carr all playing scholarship rugby at the top college rugby program in the nation. Congratulations!! Sharks Win Streak ends at 9, losing to Brandywine RFC 34-26 on 9/29/18. Want to be a better football player? Play Rugby!!! All sports require practice. The only way to get better at a skill and improve one’s game is practice. It doesn’t matter whether it is golf, bowling, rugby or tiddlywinks. Practice improves the ability to play at a higher level. There are two old adages that apply to practice. One is that practice makes perfect. Practice is the repetition of an action with the goal of improvement. Practice also improves ease, speed and confidence. Scientifically, from an anatomical perspective, practice increases the neural pathways that communicate from the brain to the muscle tissue. The larger the neural pathways, the easier the communication process from the brain to the muscles in the body becomes. As, a chiropractor, we work with neural pathways on a daily basis. So, it is very exciting to see that practice repetition not only improves skill, but the resulting increase in neural connections can improve speed and accuracy of the skill. It takes much more than repetition to improve at practice. According to recent T.E.D talks, the quality of practice depends on consistency, the intensity of the player’s ability to focus, and targeting areas that lie just below the players current abilities. To get the most out of a practice session, players must focus and pay attention to the skill drill. Social conversations while practicing are a no-no. Drills should start out slowly and then gradually progress in speed. Top professional athletes typically spend 50 hours per week working on skills and areas related to their sport (fitness, strength, agility, flexibility). In addition, studying film of skills and actual game footage is an invaluable part of practice. The brain is very powerful tool. Watching a game and imagining yourself in that position, performing skills as you see top athletes perform them, can actually help you at practice and on game day. See and do. If you see it enough, you will do it enough. I said at the beginning of the article that there were two adages that apply to practice. The second is that practice makes practice perfect. That’s why at our rugby practice sessions we constantly use live skills games and contests as part of practice. Skill drills are important, but we have to add the element of chaos into practice. It is very important to play games with outcomes that are not pre-decided. Practice can’t account for variables that occur during a match, so it is important that we create opportunities that do not occur in a structured drill. Thus, the live contests. Rugby practice is regimented and structured, but at the same time it is creative, fun and competitive. 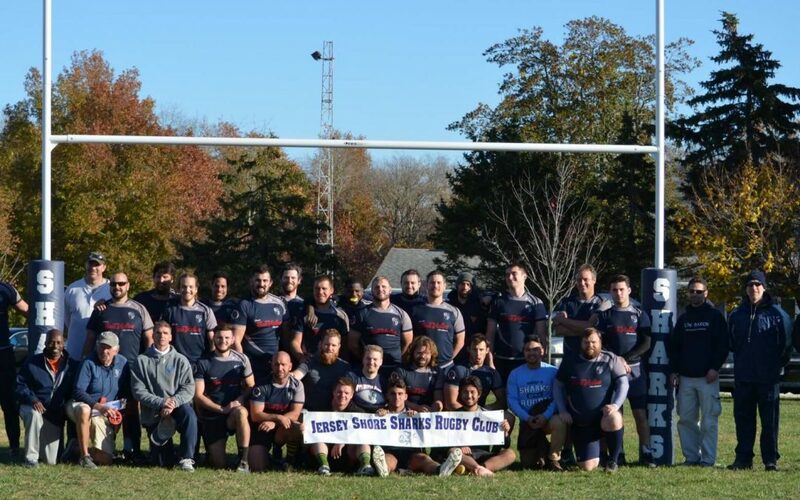 The Jersey Shore Sharks Rugby Club has started preseason training. It’s not too late to join the squad. Our high school club and men’s team always accepts new recruits. We will be holding an NFL-style combine March 4 at 10 a.m. at Veteran’s Park in Galloway. New players are welcome to give it a try. Co-ed youth tag rugby will start on March 31. Contact me for more information. Also on March 4, the Jersey Shore Rugby Club will be holding a beef and beer/Chinese auction at Diorio’s Café in Somers Point from 7 to 10 p.m. Cost $25.00 per person. Food, beer and wine included. All donations are tax-deductible. Dr. J. Zimmerman is the president of the Jersey Shore Rugby Club Board of Directors. 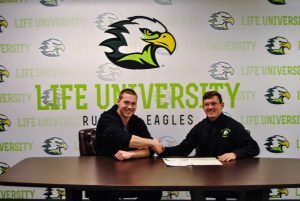 He is the men’s club head coach and director of youth rugby. Dr. J. is also the team chiropractor. 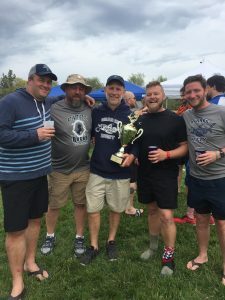 For more information on Jersey Shore Sharks Rugby, including our high school rugby team, or if you are interested in playing, visit www.JerseyShoreRugby.com or on Facebook at Jersey Shore Rugby Club, or call 609-652-6363 or email jerseyshoresharks@gmail.com. The 2017 Jersey Shore Rugby Hall of Fame Dinner will be taking place on Friday, June 16th 2017. Stay tuned for the location and this years nominations. 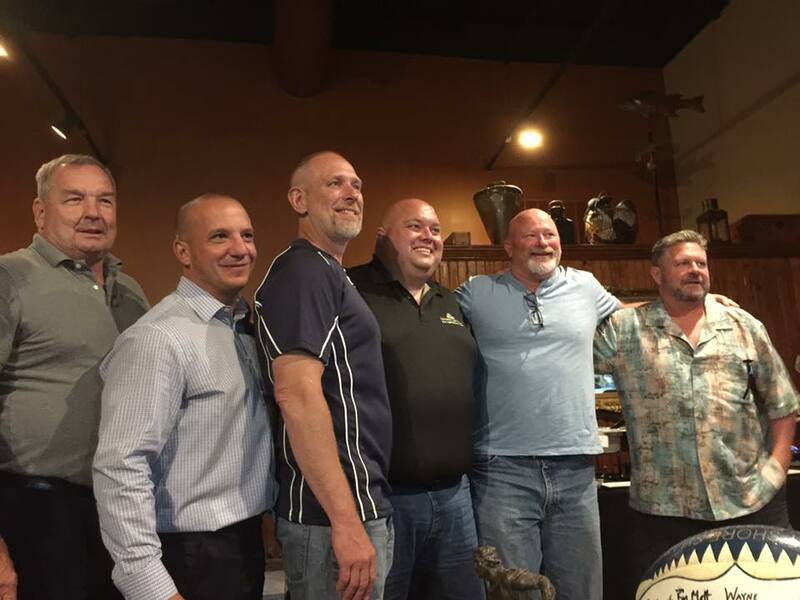 Last year, Hall of Famers were gathered at the Shark’s 30th Year Reunion at JD’s Pub. Sharks HOFs Kevin Rae, Angelo Dibartolo, Doc J Zimmerman, Preacher Jim Schroeder, Chuck Crossan and Bill Chafe line up for a photo. Rugby matches are free-flowing competitions between two teams of 15 highly conditioned athletes. I use the term free flowing because once the rugby match starts with a kickoff, there is no turning back. The clock ticks on, the action barely stops (only for injury or penalties). In football, the game is based on breaks in play. There is a snap from the line of scrimmage and the quarterback starts the play with a handoff or a pass. The play continues until there is a tackle. Then it is break time. During the break, the offense huddles up, then either the coach or the quarterback calls in the next play. At the same time, the defense is in a huddle discussing what it will be doing on the next play. The break time ends and it’s time to begin again. This break in action is what decides the course of the game, this is when the plays are called. Once we are on the field, the players use their skills, teamwork and intuition to utilize our plays that have been worked on in practice. Once the action starts, the players and the captain of the team are in charge of the game’s destiny. So, while practiced plays are a very important part of rugby and 100 percent necessary for the game, rugby is based more on a philosophy then the actual playbook. Rugby coach Eamonn Hogan says that in rugby — especially developmental rugby — the team is allowed to play the game as best it can using a philosophy of what the coach would like players to do. On my club, the Jersey Shore Sharks, we base what I would like them to do on our practice sessions. We run offensive plays, we work our defensive lines, practice outcomes for scrums and what to do — or not do — at the breakdown (tackle). The players are well-drilled and trained to react to a multitude of situations. The break in rugby comes at halftime. At halftime, the coaches have the opportunity to change the game plan and make tactical changes to help steer the match to the desired outcome. Once the second-half kickoff occurs, the game is back in the hands of the team to use teamwork, intuition and set skills and plays from practice. The free flowing nature of rugby is what is so attractive about the sport. The fact that the game is not dictated by short plays with breaks in action and the clock continues to tick is what makes rugby so exciting. The Jersey Shore Sharks are about to start the spring rugby season. Practice for the men’s club and the high school club team will begin this week. It is not too late to join us. The co-ed youth tag rugby league will be starting in April. If you are interested, contact me for more info. In the meantime, during the next few weeks, rugby is all over the television. NBC Sports Network is showing the English Premiership. And ESPN has the Americas Rugby Championship. BeinSports 1 is showing the Guinness Pro 12 and the Six Nation’s International Rugby Championship is also on BeinSports 1. Lastly, the 7s World Rugby Series is on NBC Sports Network. When you play high school football for four years, it can be difficult to simply let that competitive fire fade away on graduation day. Luckily for Nick Frantz, a 2016 graduate of Cedar Creek, he got involved with the Cape Storm rugby team during his junior year, and now has an outlet for his athletic fervor with the parent club in men’s rugby, the Jersey Shore Sharks. Frantz was an outstanding linebacker for Cedar Creek and helped lead the Pirates to their first state championship last December. He didn’t get to play in the championship game against West Deptford because he broke his ankle during the playoffs, and spent last spring watching the Cape Storm from the sidelines while he healed up. But he was back in action this fall while attending Stockton University. He said that while rugby and football are both physical sports, there are some differences. “What was different for me at first was you can’t be in front of the ball carrier. There’s no blocking at all, it’s just man-on-man, so that took a little while to get used to,” Frantz said. “Learning to tackle well took some getting used to as well. My first season playing rugby, I got a ton of high-tackle penalties. In rugby, you’re taught to keep your head out of it at all costs because, obviously, you don’t have a helmet on. Rugby tackling, I compare it more to wrestling. It’s all about leverage more than anything. It’s almost like a double-leg takedown. 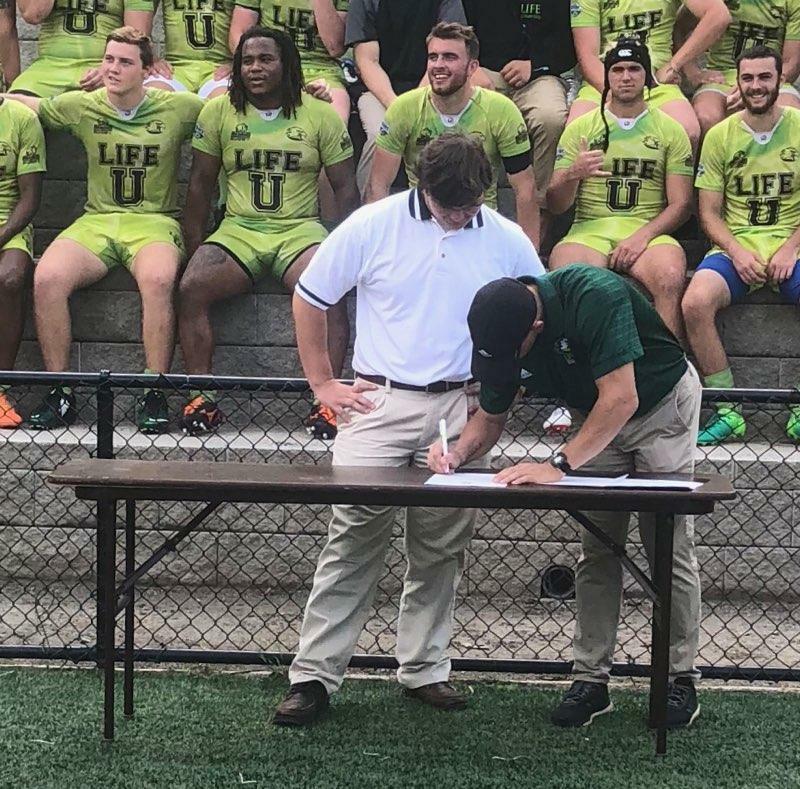 Frantz is one of many high school football players who don’t go on to play college football, and he said rugby is the perfect outlet for the kind of competition he was used to while playing for the Pirates. He also sees it as a new athletic challenge. Frantz said he has been impressed with the competition. As a nearly 19-year-old, the Galloway resident now is going up against guys in their 20s, 30s and 40s. “It’s a pretty big jump from the high school level to the men’s club. The main difference is everyone knows what they are doing and there are a lot less mistakes. It’s a much faster pace, as well. They aren’t going to cut you any slack. You have to get up to speed pretty quickly,” Frantz said. Frantz said he has taken a liking to the rugby lifestyle, as well. A big part of rugby is being a rough-and-tumble guy, but also being a good sportsman. 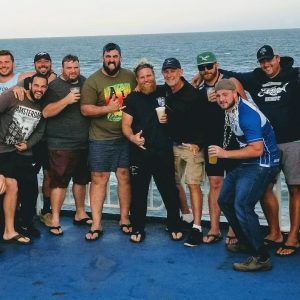 After rugby matches, the home team invites the visitors to a social gathering that includes food, song and stories of players and games past. It’s as much a social club as an athletic team. 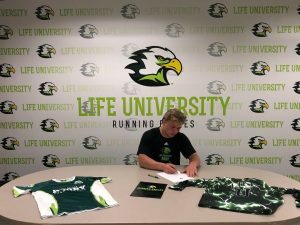 Frantz said he could see himself playing rugby for decades to come, as long as his body can keep taking the pounding every Saturday in the spring and fall. Article in Glory Days Sports Newspaper in Defensive Rugby. Click here to read. AC Rugby Invitational: The Muck and the Mud! !